The Edlavitch DCJCC is a warm and vibrant place for families. Grow with us, starting with the Parenting Center workshops for parents, parents-to-be, and folks who want to be parents, as well as Child-and-Caregiver Classes for infants and toddlers in art, movement, music, yoga, gymnastics, getting ready for preschool and more. Stay with us through Preschool for children ages 2–5. Our child-centered curriculum fosters an environment of open-ended exploration, curiosity and collaboration. 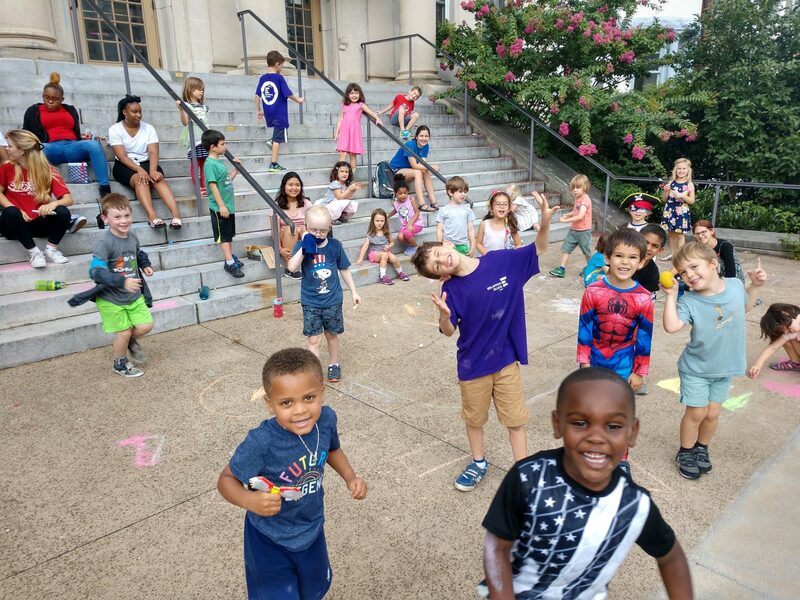 As our children grow older, we welcome them to join our fun and exciting Winter, Spring and Summer Camps, No School Today programs, and After School Enrichment Classes where they can learn new skills, meet new friends, and have fun at the EDCJCC. Families can celebrate Shabbat and holidays, explore Jewish values, and build community with each other through our Family Programs.